Straight Kris Sword – Notice each Kris has a different look. Some have more waves than the other so for now we will call one the “Straight Kris” The Straight Kris has a double edge to double the pain, and do a dual job that single edge sword can’t do. The TFW Straight Kris was used in the TV series call Arrow a few times. Arrow is a weekly TV series based on the DC comic book called The Green Arrow. 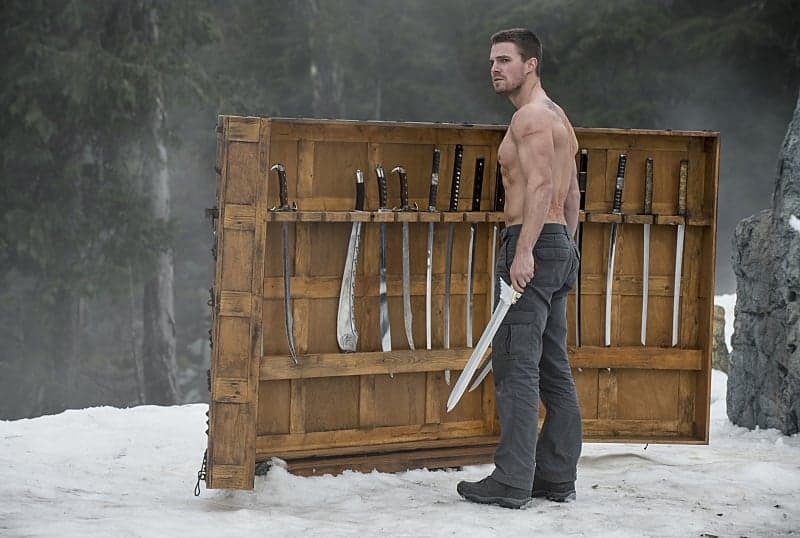 The starring character, Stephen Amell who plays Oliver Queen as the Green Arrow. Look at the video below to see some scenes where the TFW Straight Kris was used in some of the fight scenes. 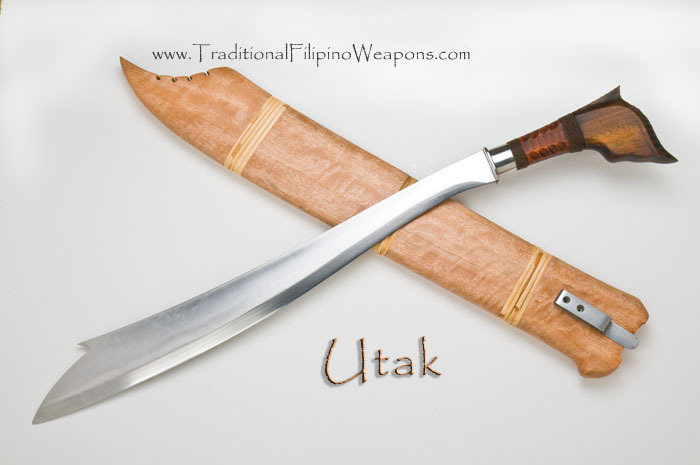 The Kris is the most common Moro sword found in Sulu & Mindanao. 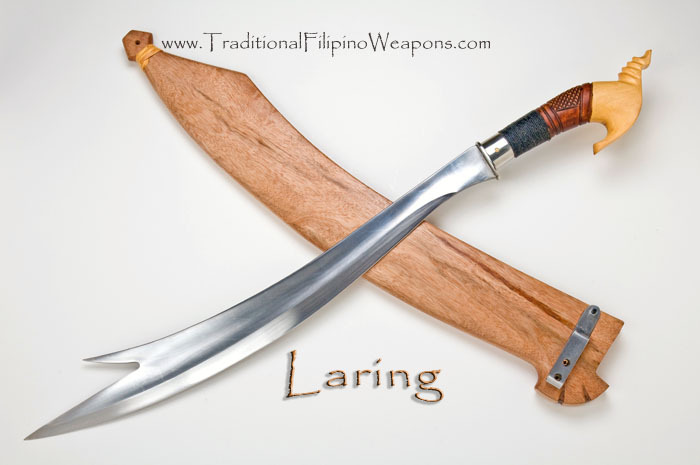 The Kris sword is extensively used by the Tausug, Samal and Yakan warriors. The waves of each Kris denotes a flame or a serpent (depending on who has made it and for what purpose). The Kris with the most wave will always be carried by someone with the authority and believed to give the deepest thrust and could even go through the enemy’s body. The waves are simply variations that tells a stranger where they came from, what region, or land, or their position in the community. The Kris has a rather vague history with folklore giving many varying accounts where some also believe that it is symbolic of the stingray’s tail. Some believe it’s a design of the mythical serpent or dragon and some believe it has a distinct religious association. 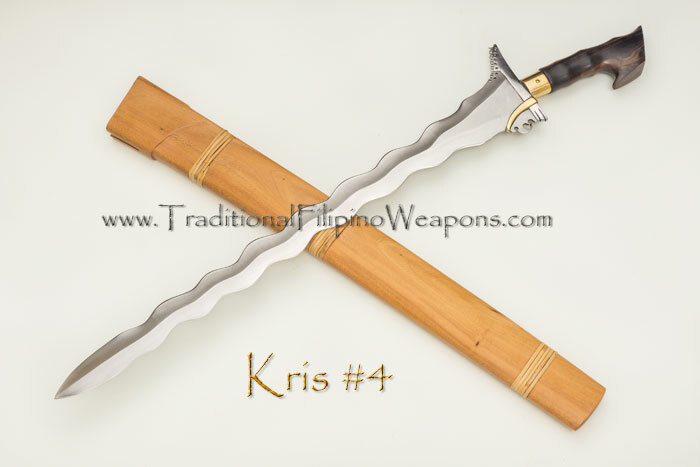 There are so many reasons why the blade of a Kris is shaped like a crawling serpent. 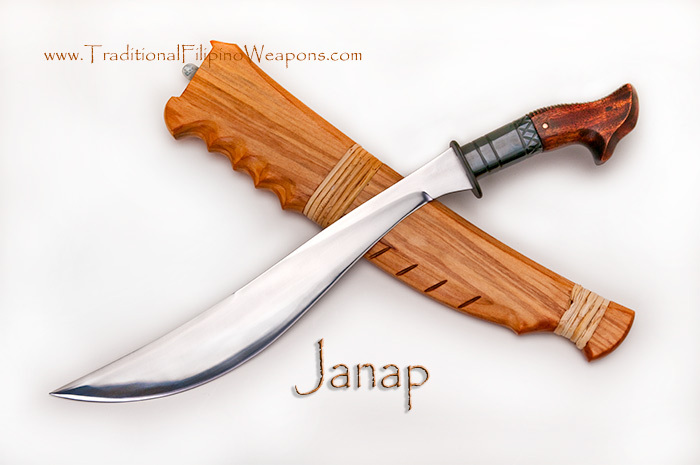 Whatever the reasons are, these type of swords can deliver the most damage when used with both slash and thrust movements. Hacking works well with this sword due to it’s unique design. The unique design of the Kris distributes the weight perfectly for hacking anything it hits in half! There are many versions of the Kris and each version has names that are not far from it’s original name, like Kalis, Keris, etc. The wavy Kris also symbolizes the waves of the ocean waters, the straight Kris is an indication of a calm and steady sea. This is where the straight Kris becomes more deadly. A calm warrior normally waits for his opponent to make a mistake before they go for a kill. 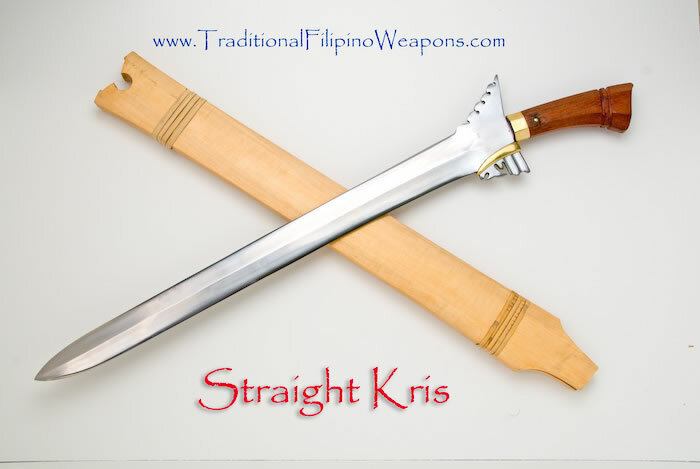 Try holding this blade and you will understand immediately why in the Philippines, the straight Kris is considered to be a very deadly sword! The straight Kris, is also sometimes thought of as the “execution Kris”, used for the purpose of public execution of criminals!. In the video below, the TV show ARROW used the TFW Straight Kris again in the 3rd season, look below.